Kind of a continuation from my last post regarding how the A1C is our Type 1 diabetes report card and how some think that Joey’s Insulin pump does everything for him. Let me say that his insulin pump does a lot for his body, but we have to program it to release the insulin that we determine he needs. The Pod is the device that is attached/adhered to Joey’s body and it has a cannula that is a tiny cloth like needle that inserts in and under Joey’s skin so the insulin can be released into his body. The Pod is changed every three days. 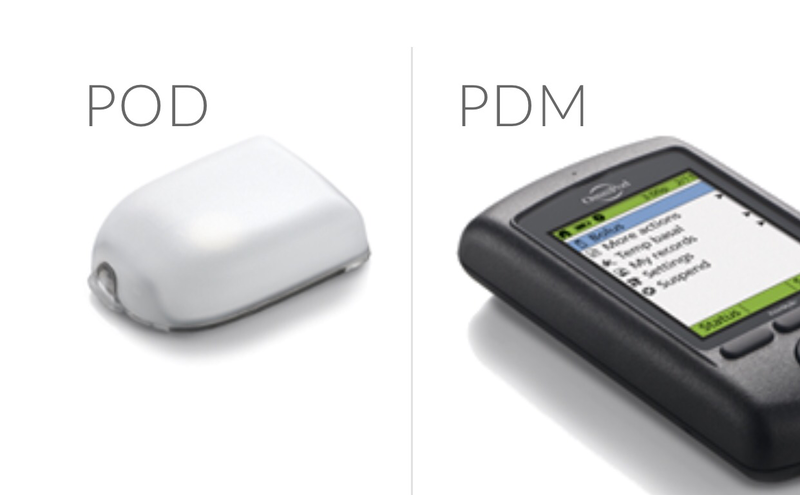 The PDM is the device that Joey tells how many carbs he is going to eat, here’s how it’s set up. So for two weeks prior to Joey getting the pump, we had to check his blood sugar every two hours around the clock. This meant that I was at school every two hours, at his soccer game, and yes Joe and I had to take turns getting up all night long. We did this so that we had a snapshot of what his blood sugar was at a given time. We were going to be setting (along with CHW’s Endro dept) his pump to release the correct amount of insulin around the clock, (this is called the Basal rate) like the pancreas did before it was attacked by Joey’s immune system. The thing is you have to be extremely careful to set the correct amount of insulin! Because although our bodies have to have insulin, you don’t ever want to give it to much! It can have dire consequences. After we determined how much insulin his body needed 24/7, we needed to figure out his insulin to carb ratio. This is how much insulin it takes to cover each carb that he eats. Because when he eats he will tell his pump how many carbs he is eating, and based on OUR calculation, it will automatically figure out the correct dosage. This is called his bolus. So to clarify, with the insulin pump you set a basal rate and a bolus calculation. We became really good at counting carbs the year before Joey got his insulin pump, which really helped us when he got the pump! Because again, once we preset the pump with his basal and bolus calculations, all Joey has to do is tell it how many carbs he’s eating. Now, he still has to change the basal rate at times. Because his body is constantly growing and changing, so do his insulin needs. For instance if we see that his blood sugar is always at the higher end at 3:00 pm, we will have to up the basal rate for that timeframe. We would do the same thing if his blood sugar was going low at a certain time. Luckily with technology being what it is we can plug his meter into a computer and the program will give us all the information we need to make adjustments. I’m usually on the conservative side baring any miscalculations on my “human” part. So, does his pump help us with our “grade,” yes, as long as we stay on top of his numbers throughout the day by checking every few hours, making sure to bolus for meals, and making corrections when his blood sugar is to high. More tomorrow on how high and low blood sugar affects Joey’s body and sometimes his actions. Previous Post Report Card Time, Even in the Type 1 World!